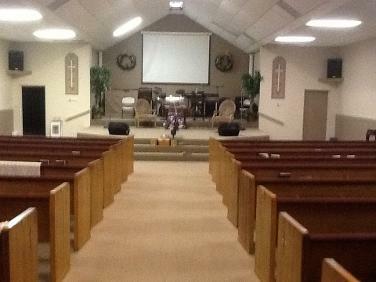 Trinity Faith Bible Church welcomes you! We are a non-denominational church that believes in the Father, Son, and the Holy Spirit. Our Church was founded to be an oasis so everyone could worship our Lord and Savior in their own way. We believe the Bible to be the Sovereign Word of God, that we are living in the last days and that the ONLY way to be saved is by accepting Jesus Christ as your Lord and Savior. We welcome all walks of life with a come as you are mentality. It is our mission to bring as many people to the saving knowledge of Jesus Christ Our Lord and to help those embark on journey to discovering a relationship with Christ. Come and Fellowship with Us! We'd Love to See You and Your Family!